Nothing in business is more frustrating than gaining orders through expensive advertising, SEO and marketing campaigns but then falling short at the delivery of your product to you clients. Gaining a client is difficult and expensive to risk losing them through poor service caused by incorrect and delayed deliveries. The cost is most often unrecoverable. There are several key areas in which you have 2 options, fail or succeed. Fulfilment must be made to run like a well-oiled machine by ensuring perfected, seamless picking and packing processes. Staff training, motivation and satisfaction are key elements in business, from customer services to warehouse management. Your staff need to be properly trained, and not just in your processes. Staff need to understand the customer, the business and the companies work ethics to ensure the brand stays strong and the customer journey is faultless that promotes repeat business and customer retention. Workflow processes are a vital aspect that require constant attention to ensure correct procedures and practices are in place. Clear and concise workflow processes are essential to get the best out of a team, ensure the company is as profitable as it can be and minimises need for micro managing by removing all basic “where does this go?” and “how do I do that?” questions. To accomplish slick and profitable workflow processes, a known way is to implement warehouse management software systems that can manage this process for you. The first place to start is by asking yourself some basic questions. Have a look at the following points and see which apply to you. Through marketing and product promotions, you find orders increase but you are unable to manage processes in an accurate and timely manner? Do you find yourself processing orders rather than concentrating on promoting your business? Trying to find your stock becomes difficult or nearly impossible? Picking and packing errors increase? You or your staff Manually Labelling your products for despatch? Manually working out supplier lead times? Chasing suppliers for deliveries or late deliveries? Chasing tracking and delivery of goods? Customer contact isn’t centralised to one hub? As businesses grow, one or most likely many of the above will apply. Many Companies face these issues and fall at the first hurdle of potential business success and business growth. Increased sales and revenue is great, but not unless your profit is increasing. By keeping small scale workflow processes in place for what is now a large-scale operation, human error becomes more apparent, customer service slips and orders start to decrease. This is where investment in warehouse and order management software reaps rewards and companies find themselves with more rewarding planning, needing bigger warehouse and growing staff levels to cope with order levels. 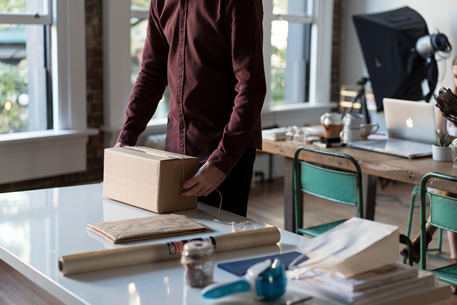 With less time managing day to day warehouse duties, businesses naturally have more time to focus on engaging marketing and promoting company values. From business to business, goals, processes, staff, and solutions change and warehouse management needs to be streamlined and mapped to each individual circumstance. By gaining professional help, your warehouse management system can be implemented with sound knowledge your company values and goals have been carefully considered and worked around to achieve a flawless implementation. Here are just a few areas warehouse management can turn a small business coping with a large business order quantity into a highly profitable business model assisting effortless with day to day management. Accurate stock control not only enables you to sell what you have in stock, but also reorder stock that is running low, thus enabling continuous sales of product and customer satisfaction. Stock location. Whether you have multiple warehouse or just one, the ability enables your staff to locate stock accurately and in a timely manner. Even new staff find it easy to find stock with features such as: easy to read picking and packing lists, barcode bin location and product recognition. You can also reduce the distance and therefore the time walked by your picking staff and keep quick moving stock in an easily accessible and compact area. Barcodes on products eliminate picking and packing errors, reducing detrimental errors that effect customer service and loyalty. Automatically create carrier labels for goods sent out. This eliminates manual label creation, which may also incur errors in name or address details and orders being sent to the wrong address and wrong person. Carrier tracking information is automatically read back into the warehouse management system and email to the customer. This enables your customer to track their order themselves and reduces time and money spent on chasing this. Order stock on a just in time basis. This not only enables you to order stock before you run out, but also reduces the amount of stock that you physically hold. Helping your ever-important cash flow and freeing money to invest in promoting your business. Product returns are handled in a timely manner allowing you to track the reason for the product return. Warehouse management can streamline your workflow in more ways than one. Online selling platforms are a lucrative lead and order generator but managing orders from multiple platforms can be complicated and counterproductive if not managed correctly. Platforms such as Ebay, Amazon, Magento, Not on the High Street, Woocommerce and Shopify can all be managed in 1 location making these areas even more profitable and creating more possibilities. With experts boasting over 35 years’ experience that are happy to discuss and help map out your business journey based on your individual needs, starting with an on sight free consultation and analysis by contacting Richard on richard@rjsystemssolutions.com or calling 07768 551483 is your next step to the next level.